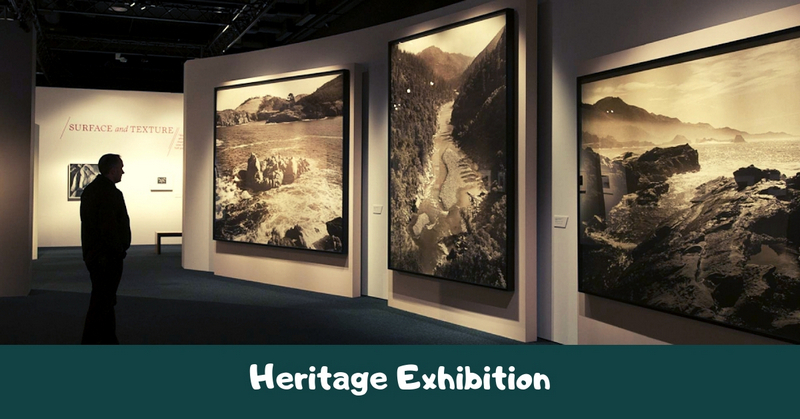 The subject of the Heritage Exhibition is the view of artists of the present on the cultural heritage of the past. It meets the increased interest of the intellectual public, overworked by the experiments of modern art with ambiguous results. No relics and texts are able to provide such an opportunity to plunge into the world that surrounded people at other times or in other parts of the world, as the visual art does. Many contemporary artists strive to turn to subjects inspired by the past and offer to look a little differently at the already established traditions. The Heritage Exhibition also demonstrates unique decorations made of copper, bronze, iron, glass, They do not always give the impression of antiquities, they are so skillfully and carefully made. The exhibition presents original works of medieval blacksmiths and jewelers, jewelry made of stone and glass, iron and bronze – unique finds that witnessed the brief heyday and brilliant military victories of the disappeared people. The ancient craftsmanship is also worth paying attention so their works are also presented at the exhibition: at first glance, they are rather crude and even not very suitable for such fine art. However, they looked precisely this way: belt sets, bracelets, rings, pendants, and other decorations. The heart of the exhibition are the works of Harry Scolfield, an artist with a rich range of creative interests, a participant in numerous projects both in the USA and abroad, and Patricia Levis, a young, talented and prolific artist. Visitors will also be able to see photo collages and stories that reveal the value of cultural heritage in the life of society and each person. The exhibition was only the first sign in a series of similar expositions. The subsequent ones will tell about other aspects of the life and work of the legendary people, and the latter will highlight the history of the country.